With this resize image software, you can create e-mail friendly versions of your images, load them faster, move them easily from folder to folder, change their format, edit large numbers of image files/batch image resize and thus save space on your hard drive. Using high resolution 1600x1200 for creating wallpaper or file-sharing you can save your memory. VSO Image Resizer can also change file names using a template and you can add your own watermark with transparency support. 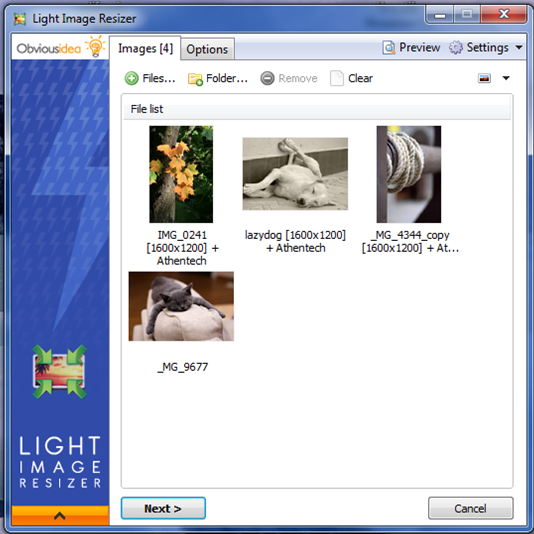 VSO Image resizer is integrated into the Windows explorer shell, right click on your pictures and start working on your pictures!